In Lövely Interviews, I interview developers of LÖVE and LÖVE games. Today the LÖVE game Warlock's Tower by Midipixel was released on Steam. I interviewed Ygor and Werther from Midipixel on the development of Steam's newest LÖVE game. We're Werther and Ygor, two guys in their thirties, a musician/artist and a programmer, respectively. 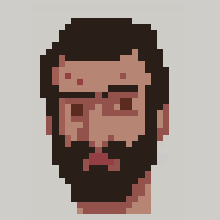 With our powers combined we make Midipixel, a Brazilian indie game company now existing for three years in a row. 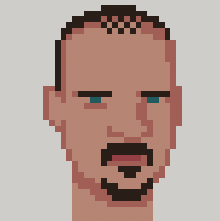 We make indie games, obviously, although we've done client work in the past. We participate in game jams as well (GBJam is our favorite) and the occasional experiment here and there. 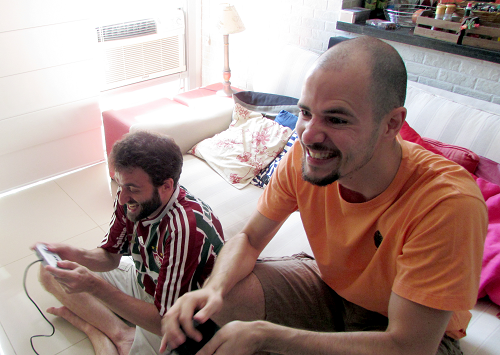 We're also part of a Rio de Janeiro collective of indie game developers called RING. How did you learn about LÖVE, and what was it that made you start using it? I first heard about it while I was doing my Computer Science M.Sc. at PUC-Rio. PUC-Rio is where Lua was created, and having fell in love with the language there, LÖVE seemed a pretty easy to get into framework. I started doing some prototypes while working at my previous company (Nano Studio, which Werther was also a part of) and things always moved fast. I quickly discovered to be really productive using Lua and LÖVE. Congratulations on releasing Warlock's Tower! Where did it all begin, and how long did it take you to make it? Thank you! By the time of this writing, Warlock's Tower is not yet released, so here's hoping nothing bad happens until then! It all began in October, 2014. Having just been released from a two-month hospital stay and feeling like life is short, I decided to use some of my recovery time to hack one of our old ideas. The first prototype was done in a week, I guess. We were pretty happy with it, sent it around to friends and family and everyone seemed to be having fun solving its puzzles. During 2015, however, we started doubting the project's potential and almost dropped it for another prototype of ours, but then November came and Warlock's Tower won two SBGames awards, one of Brazil's major game development festivals, one for "Best Game Design" and another for "Best Developing Game". That was the sign we needed. We resumed working on the game and 2016 came and went as we spent most of it dealing with publishers (we talked to two of them before signing with Whippering, who currently publishes us), finishing the game's content, mobile ports and adding a Twitch integrated play mode. Whew! What is the most important thing you've learned when creating Warlock's Tower? Jeez, there are a lot of important things I learned while making this game! But I guess the most important one is: be an active part of the whole. I used to foolishly think that just by making something I was entitled to receive attention and praise for it. That by the sheer amazingness (if only!) of the thing I was creating, people would discover my work and recognize my effort and throw money at me. People will pay you attention, they will give you their time, but you need to reach out to them. Share screenshots, show how your game is evolving. Go to events and festivals, be a part of your local game developer gatherings (or start one yourself.) All the opportunities that came our way started with us making some sort of reaching out. If we hadn't submitted Warlock's Tower for the SBGames, we wouldn't have won. If we hadn't being posting screenshots of the game on Twitter, we wouldn't have been found by publishers, and pretty much no one would know about our game by now. 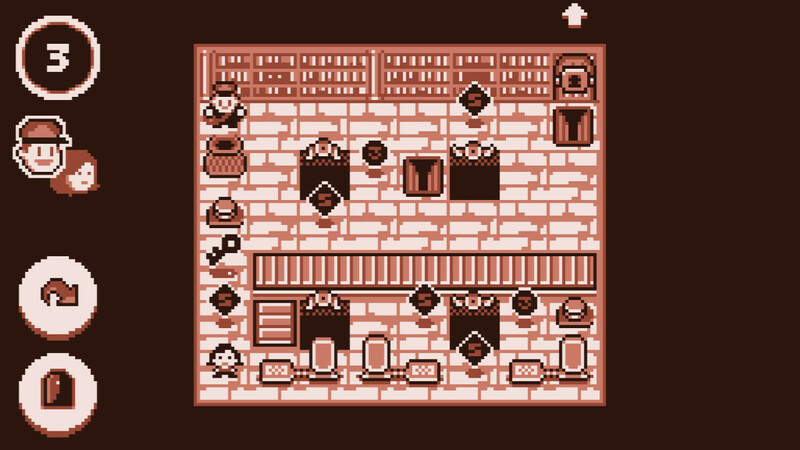 Was there a part/feature you really struggled with when creating Warlock's Tower? Sure. One of the big ones was making the controls work for the mobile platforms. At first we tried a touch and drag approach, but the game's so movement focused that we couldn't avoid adding an onscreen directional pad. We also struggled to make our players understand the game's rules through the GUI. Warlock's Tower's interface was overhauled twice during development. A single (but very important!) rule regarding how gems restore your character's health was the sole reason for the second remake. We do have an incredibly better GUI today, but the sad part is that, honestly, we haven't felt that it particularly improved player's comprehension. It's a tough rule to explain through the GUI without having it heavily interfering with the game's experience. Warlock's Tower is your biggest game yet. Did the scale of the project change your approach on programming or design? Yes! Maybe every new project should challenge one's old, tested approaches, be it in programming or design. Warlock's Tower evolved in a more organic fashion, as I imagine happens in some way or another for every larger software project. Programming-wise, maybe due to LÖVE's lightweight, more library receptive architecture, I included more external libs in this project than I'm used to, which wasn't so much a deliberate change of approach but a production necessity. However, this proved fruitful, and I'd feel inclined to do this again working with LÖVE. Using Lua for a longer project certainly changed the way I code and think about code, somehow, and I'm sure many of its cool features will be sorely missed as soon as we start working again with more constrictive technology. In the end, it seems that Warlock's Tower changed me more than I changed for Warlock's Tower. Do you already have plans for your next game, and if so what can you tell us about it? All game developers (all creatives, really) have piles of ideas towering around, and we're no different in this sense. We have a favorite idea which we have been discussing for some time, but since it would lead us to another longer project, we most likely aren't going to be able to tackle it right away. We also need to evaluate Warlock's Tower's response, learn from its release before we can decide on where to go next. We have several jam games which certainly could become full projects in the future. We also had an interesting time implementing Warlock's Tower's Twitch features, and both Werther and I fondly consider making our next game a stream first game. Is there anything you really wish would be added/changed to LÖVE? When I talk to people about LÖVE I usually say that its two weaknesses are 3D and cross-platform support. The first one is obviously not a weakness (since the framework is also called Love2d), but the second one really makes a difference nowadays when selecting a framework/engine. I'd love if making mobile LÖVE games were easier and if there were console ports available. Thanks for answering all the questions, is there anything you would like to tell the readers? Well, if any of you want to contact us, feel free to do it! Check out Warlock's Tower's website if you wanna know more about the game. Oh, and we're really active on Twitter, so if you wanna keep in touch, follow us there: @ysperanza and @w_midipixel. We're constantly talking about games and we'll love to meet you there!